There's a divide between what most gamers consider "old school" and "modern" approaches to RPGs, specifically D&D, but those categories are general enough to be somewhat universal. It's not just traditional versus story game or experienced veteran versus youthful noob. It's a matter of approach and perspective. Designing adventures seems to be one of those areas where those things matter now more than they ever have. 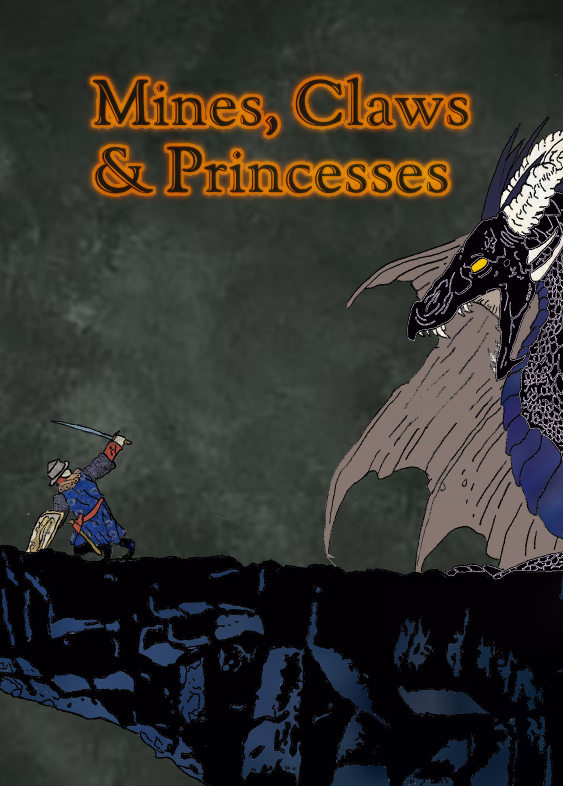 The latest conflict is around a scenario entitled Mines, Claws & Princesses. It's by some dude I've never heard of named Oswald. While I'm not wild about the title and don't care at all for the cover art, renowned D&D adventure reviewer Bryce Lynch has said amazing things about it. Even though I haven't read the module in question, I trust his judgement and plan on purchasing it soon. And that would be the end of it (and hardly worth a blog post) if not for a counter-point review from some guy named Chris Kelly over at Wizard's Laboratory. Chris takes points off for the adventure's unfinished nature, its mature themes (gratuitous violence, apparently), and lack of compelling story. Pretty much everything that's wrong with scenarios put out from the 90's up to today's "adventure path" is placed on a pedestal by some of these gamers who see old school as a detriment and OSR as something that passed the RPG hobby by or a niche relegated to the back of the bus (standing room only). I'm talking about overly-long, tedious, hand-holding, uninspired railroad drivel that keeps diamonds in the rough from getting noticed. As an aside, I glanced at this preview over at ENworld today. The author is talking about the upcoming Solar Blades & Cosmic Spells RPG. Angus seems to be explaining the nuts and bolts of old school roleplaying to an audience that's possibly unaware of gaming culture from the 70's and 80's. I mean, it's just sad that so many people don't know what good Game Mastering is about, that so many players have to experience all those campaign worlds with blinders on... with fun on mute. Personally, I view old school as the future of this hobby. There wouldn't be a 5th edition without the OSR. Those noob-friendly "training wheels" are actually GM straitjackets, preventing the proper flow. And what is the proper flow, you ask? The adventure designer inspires the GM with awesome ideas. The GM takes those ideas, interprets them based on his own desires, adds in what seems appropriate at the time, and presents his version... his vision to the players. The players respond as if they actually were the characters themselves. The GM reacts to PC actions (or inaction). That's it. That's what's supposed to happen. Interrupting that sacred pattern with failed novelist backstory, tedious read-aloud text, and predetermined outcomes is ruining D&D!!! Besides continuing to educate people, I'm not sure what else we can do. Sure, we can keep running games from an old school perspective, initiate new blood into the OSR fold. But what else? Hmm... write reviews?